So folks! This is the last update before we come out of Early Access in Summer 2017. In this latest release there have been several further tweaks and improvements to the Story Mode gameplay, but now you can access Seek & Destroy arcade Mode and try one of four gameplay zones. 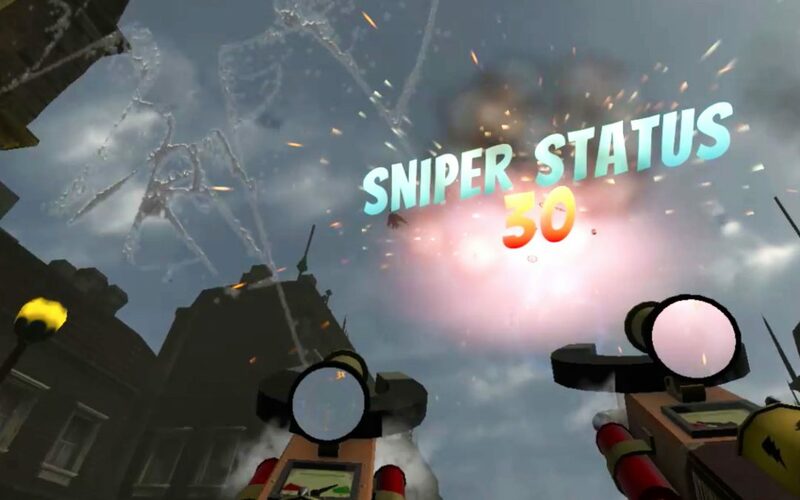 Seek & Destroy is an arcade style time based full on wave shooter version of SteamHammerVR with plenty of combos to boost your score and rack up those achievements. Ultimately your quest here is to try to become the world’s most successful SteamHammer! For Seek & Destroy you have been given MKIII versions of the SteamHammer arsenal, but you can still test your skill by playing in Easy, Medium or Hard. Note: If you want to ascend the leaderboard and achieve the title of the Supreme SteamHammer then you can accumulate more points playing on the harder difficulty levels.